The email I received was loaded with enthusiasm. It started “For starters, I love your work. You’re truly an artist.”… Way to get my attention! 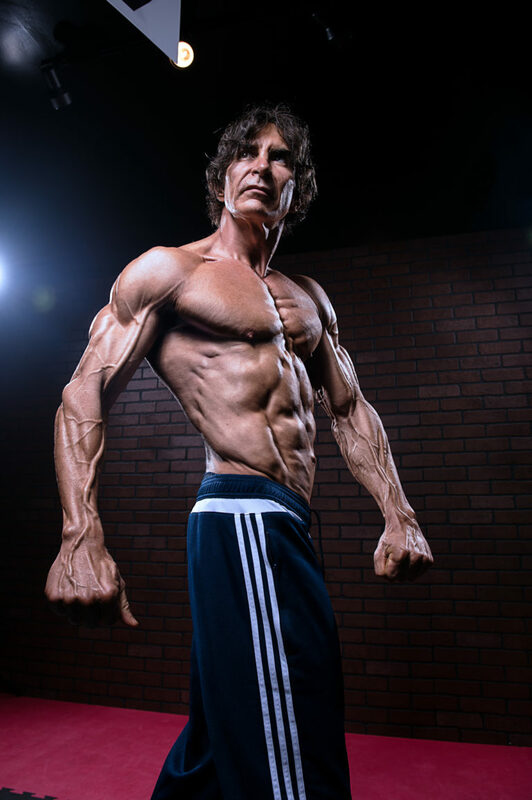 Anthony Hasan is a surgeon and an amateur bodybuilder of many years. 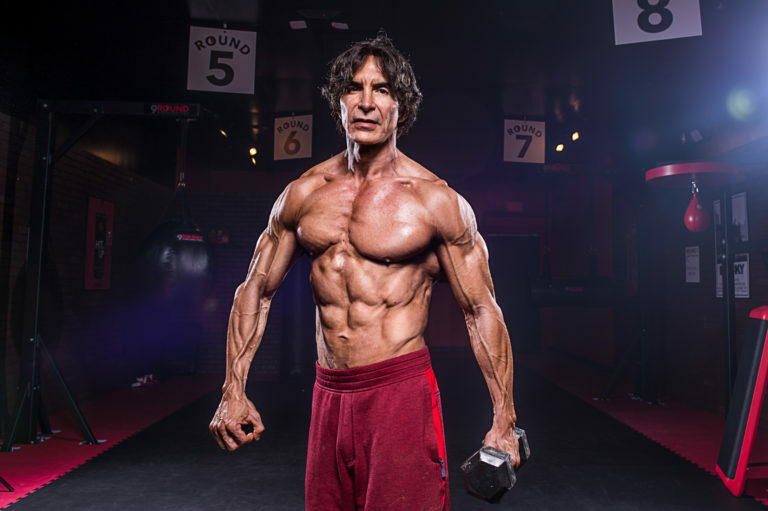 At 55 years young, he decided to enter his first men’s physique bodybuilding contest. This entry into the world of competitions would be followed the very next day by a shoot with me. 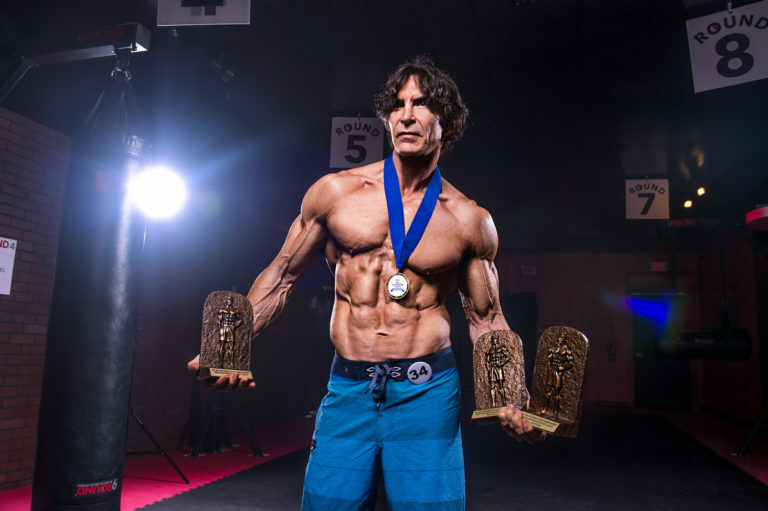 Anthony had emailed me a month before the contest with the view of preserving the physique he had worked so hard to achieve. He had seen my work before I knew I was all about detail, lighting and bringing out people’s desires and personalities in a photo. Before the shoot, I had never seen Anthony. We had only spoken on the phone. When I first saw him I was immediately impressed with his physique. Great musculature and symmetry with ridiculously low body fat. Anthony had sadly not won the contest, despite having on the the best physiques I’d seen because of inexperience with posing. Most people outside of the competition culture just don’t realize how important the pose is on stage. It’s all very well having that great body, but if you don’t know how to show it, you’re going to lose points. Anthony was very open about this and we discussed it at length. Luckily, he has decided to compete again next year, using the lessons he has learned. I already know I will be photographing him again in 12 months. 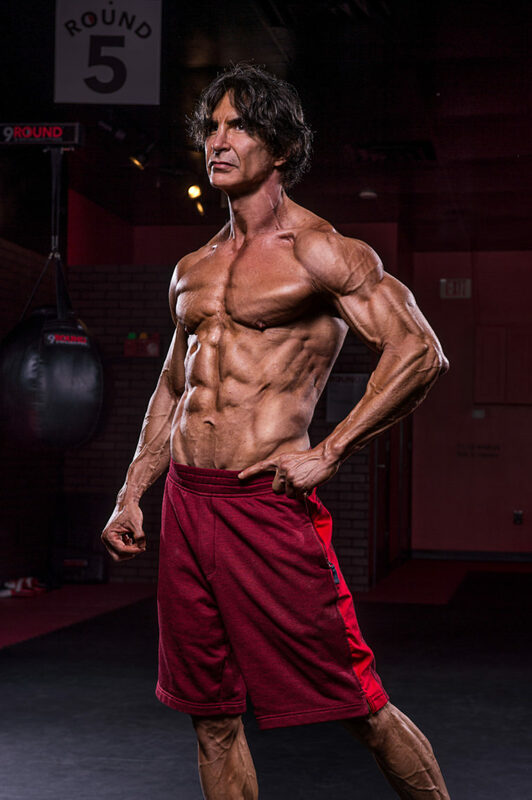 For the shoot I kept it simple with emphasis on highlighting that awesome muscle tone. I used a Parabolix 30 parabolic reflector as the key light. 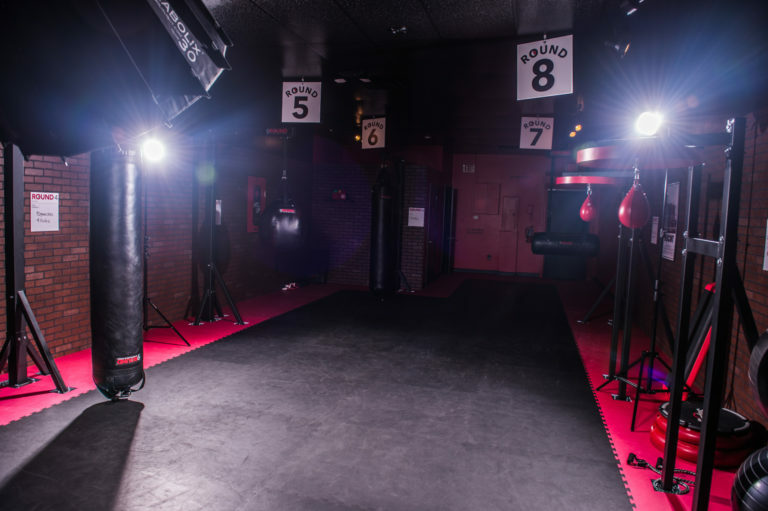 This was set to the most focused point to give a widely spread, yet hard punchy light. Either side, behind Anthony I had two monolights with standard reflectors to provide a hard rim light which cut across the chest and shoulders to accentuate the ‘cuts’. Parabolix have been around for a few years now. 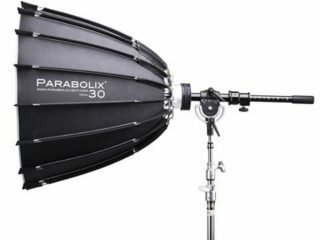 They are a Los Angeles based company that specializes in parabolic lighting reflectors. For those of us who don’t feel the need to spend $4,000 on a Broncolor Para 88, these guys can give you a very similar solution for less than a quarter of the price… I highly recommend.